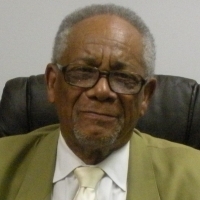 Pastor Marshall was a dedicated servant to Gayles Memorial Baptist Church for more than 50 years. His passing is a great loss, but his life is an inspiration that will leave a lasting legacy throughout the church’s continued development and growth. Take a moment to read his obituary below, or view the original here. Rev. George Marshall resident of Aurora, Illinois, was born in Vicksburg, Mississippi on June 1, 1936. He died peacefully surrounded by his family on February 10, 2016, in his home at the age of 79. George was the fifth child out of 11 children of George, Sr. and Elizabeth Marshall. He fell in love and married Barbara Marshall on September 26, 1961 in Aurora, IL. They were happily married for 54 years. George Marshall continued his education by attending two year study at Waubonsee Community College in 1953. George worked at the St. Charles Youth Home, as a counselor, for over 15 years, and at Aurora Bearing as a forklift driver for more than 10 years. He fulfilled his yearning and thirst for the word of God, from 1972 to 1989, as a student of biblical studies at Chicago Baptist Institute, Moody Bible Institute, and the Church and Family Institute of Bethany, Oklahoma. On December 19, 1975 George was called to the ministry to preach God’s word; he was ordained as a minister June 1, 1976. He became the pastor of Gayles Memorial Baptist in June 1981. Pastor Marshall dedicated many years to Gayles Memorial Baptist Church, 34 of which he served as senior pastor. To his credit he also served the Aurora community for decades as a humble servant. He has faithfully served as a Chaplin for the State of Illinois Department of Corrections, Board of Directors for “One Church for One Child,” “Habitat of Humanity,” and President for Minister’s Alliance for two years; served on the Board of Directors for the “Hesed House” for three years. Under his spiritual guidance and leadership, many ministries and auxiliaries have been established here at Gayles to include the appointment of the Board of Trustees, Youth Choir, Children’s Church, Hospitality Committee, Nurse’s Aide, Male Chorus, Women’s Choir, Performing Arts Ministry, and the Media Ministry. He is survived by his spouse Barbara, 8 children; Betty King (Johnnie), James Marshall, Mildred Turner (Alfred), Sharon Clark, Vanessa Williams (Treves), Julita McGowan (Jeffrey), Phyllis Brown (Eugene), and Marc Marshall and a host of grandchild and great grandchildren. Visitation will be Friday, February 19, 2016 from 4:00 pm to 8:00 pm at Gayles Memorial Baptist Church, 730 N. Gillette Ave, Aurora, IL 60506. Rd. A second visitation will be Saturday, February 20, 2016 from 9:00 am-11:00 am; funeral services start at 11:00 am at St. John AME, 2950 Bilter Rd. Aurora, IL 60502. Burial will take place at Lincoln Memorial Park Cemetery, Aurora, IL 60506.